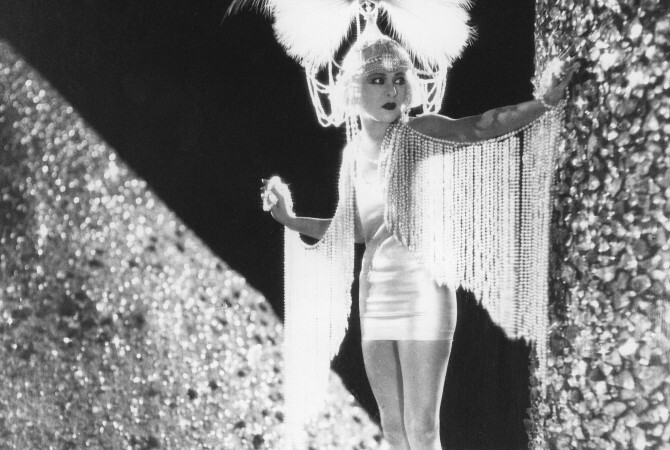 The Fashion in Film Festival is proud to present a special edition of Birds of Paradise, an intoxicating exploration of costume as a form of cinematic spectacle throughout European and American cinema. 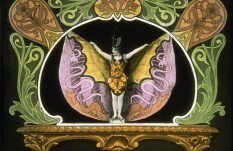 The program highlights those episodes in cinema history which most distinctly foreground costume, adornment, and styling as vehicles of sensuous pleasure and enchantment. 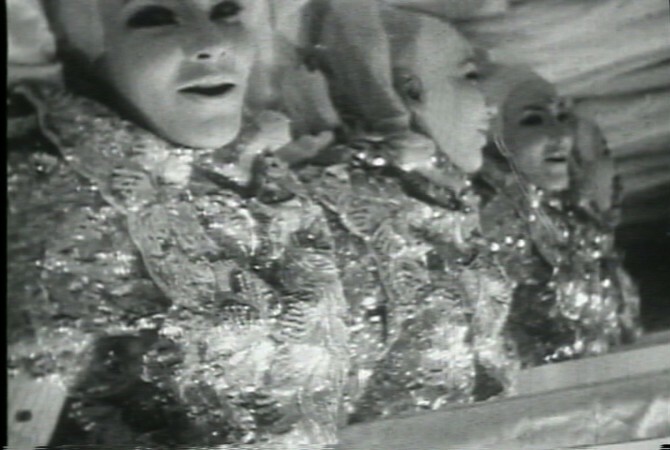 Underground films by Kenneth Anger, Jack Smith, Jose Rodriguez-Soltero, Steven Arnold, and James Bidgood constitute one such episode. Their exquisitely decadent, highly stylised visions full of lyrical fascination with jewelry, textures, layers, luxurious fabrics, and make-up unlock the opulence of earlier periods of popular cinema, especially “spectacle” and Orientalist films of the 1920s; early dance, trick films and féeries of the 1890s and 1900s; and Hollywood exotica of the 1930s and ’40s. The program forges a link between the characteristic visual intensity of American underground cinema and the dreamlike, marvelous world of silent cinema. In their magical and sometimes phantasmagorical tableaux, costume and artifice are not merely on display. 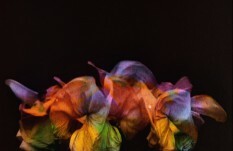 Instead, they dazzle, seduce, surprise, or dramatically metamorphose – they become a type of special effect. The festival presents many rare screenings including Nino Oxilia’s Rapsodia Satanica (1915/1917), a newly restored print of Jack Smith’s Normal Love (1964) and Jose Rodriguez-Soltero’s Lupe (1966). There will also be favourites such as Cecil B. DeMille’s Male and Female (1919), Erich von Stroheim’s Merry Widow (1925), as well as talks, film introductions and seminars at Museum of the Moving Image and The Graduate Center, CUNY this April and May, followed by a symposium with screenings at Yale University in November. All silent films will be accompanied with live music by Donald Sosin or Stephen Horne. With Ronald Gregg, Stuart Comer, Eugenia Paulicelli and Inga Fraser. Birds of Paradise: Costume as a Cinematic Spectacle is also the title of a forthcoming illustrated book edited by Marketa Uhlirova and published by Koenig Books in Fall 2011. Contributors include Catherine Hindson, Jody Sperling, Giovanni Lista, José Teunissen, Sumiko Higashi, Lucy Fischer, Karl Toepfer, Esther Leslie, Juan Antonio Suarez, Ronald Gregg and Ryan Powell. Listen to the MoMI panel discussion. Since the beginning of cinema in the late-19th century, the role of costume, fabrics and fashion within has been crucial in conveying an aesthetic dimension and establishing a new sensorial and emotional relationship with viewers. Through the interaction of fashion, costume and film it is possible to gauge a deeper understanding of the cinematic, its complex history, and the mechanisms underlying modernity, the construction of gender, urban transformations, consumption, technological and aesthetic experimentation. Borrowing the title of the 1928 German-French studio spectacular, this symposium will expand on the Orientalist strand in Birds of Paradise. It will consider the movement, duration, texture and other aspects of “dressing” film through costume, sets and props as having played a crucial role in defining Western visions of the East throughout the 20th century. 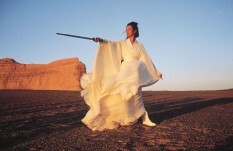 It will also address the use of costume as an important aesthetic device in Asian cinema. Participating speakers will include Charles Musser, Anapuma Kapse, Amy Herzog, Alistair O’Neill, Eugenia Paulicelli, Becky Conekin and Ronald Gregg.